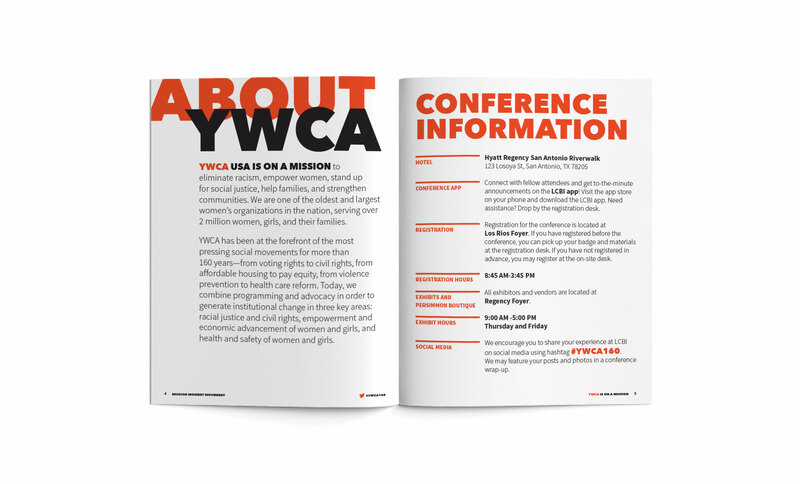 "The YWCA is on a mission to eliminate racism, empower women, stand up for social justice, help families and strengthen communities." 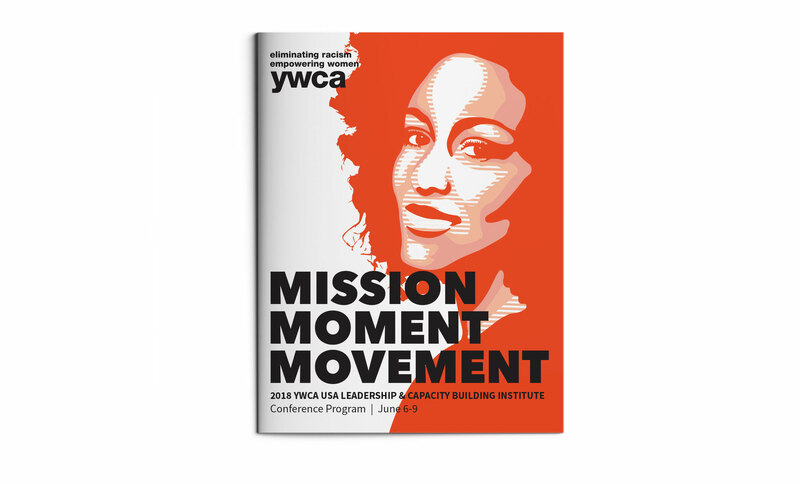 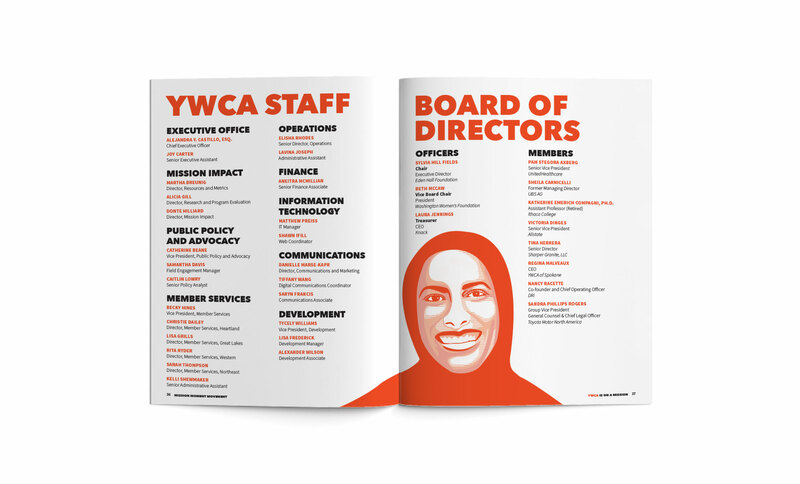 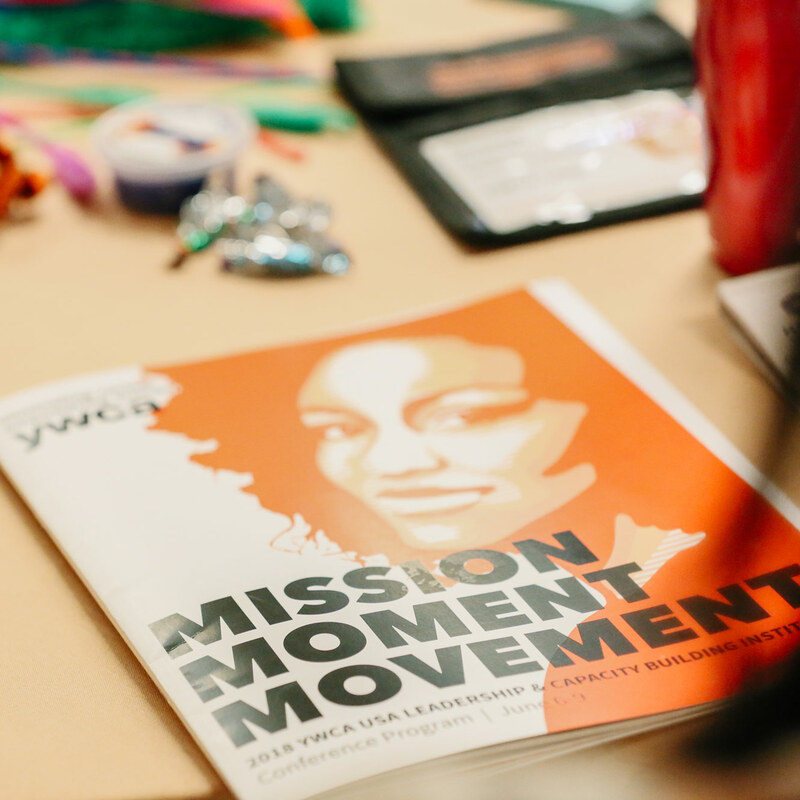 YWCA has been at the forefront of the most critical social movements for more than 160 years — from women’s empowerment and civil rights, to affordable housing and pay equity, to violence prevention and health care. 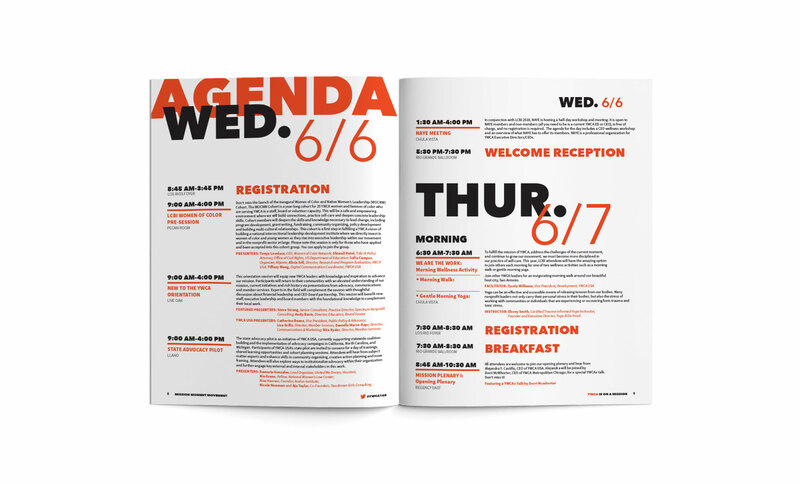 Seaberry designed materials for the week-long Leadership and Capacity building Institute, held in San Antonio, TX. 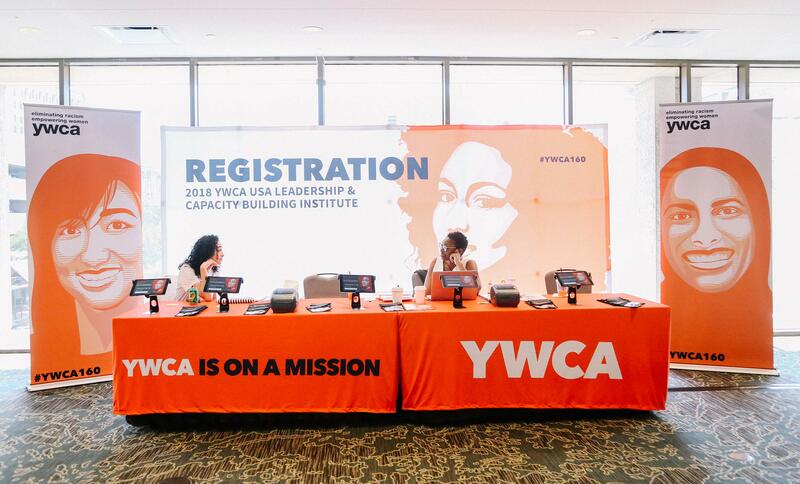 Collateral design included a unified theme for banners and backdrop, table and podium covers, registration kiosk screens, PowerPoint templates, meeting room video, the institute program and wayfinding signage.